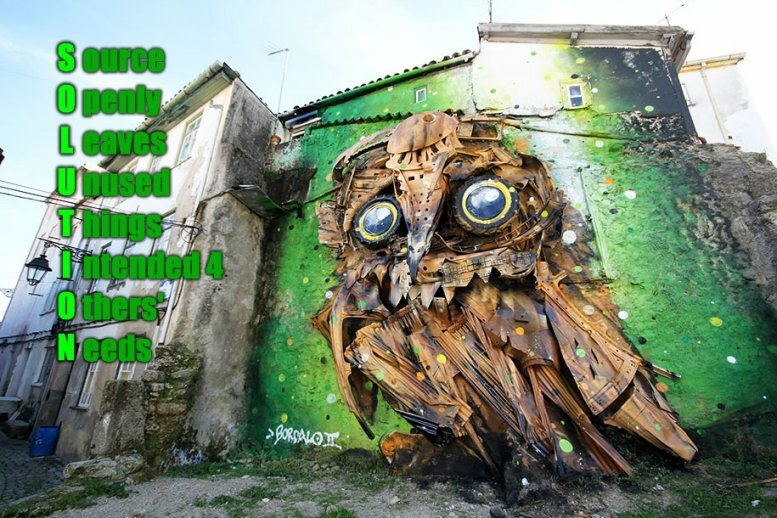 For a human like Bordalo, this Acrosstic is very descriptive: he uses what others throw away to make art which shows the world we trash too much. I've thought about doing it myself at some point, but simply never got around to it. Instead, I created moorelife.one to show how language can be used in creative ways to make people thionk about Reality in a different way.